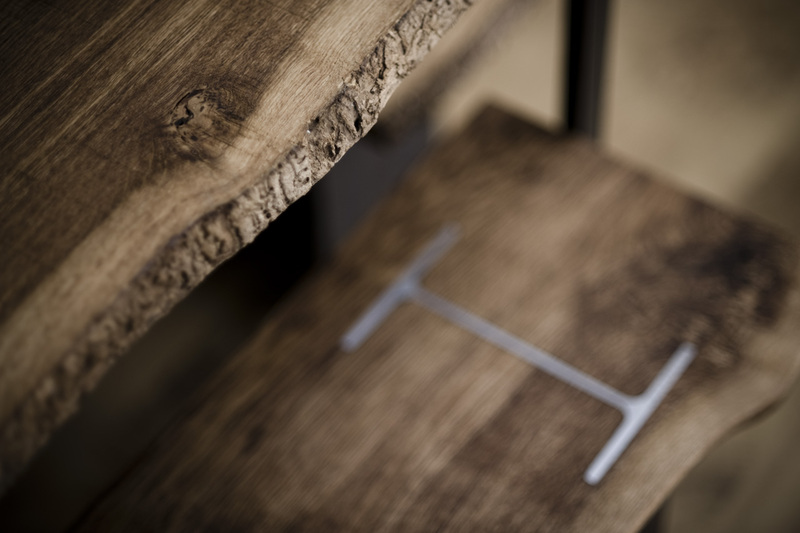 English Oak and steel combine to form this beautiful dining table. 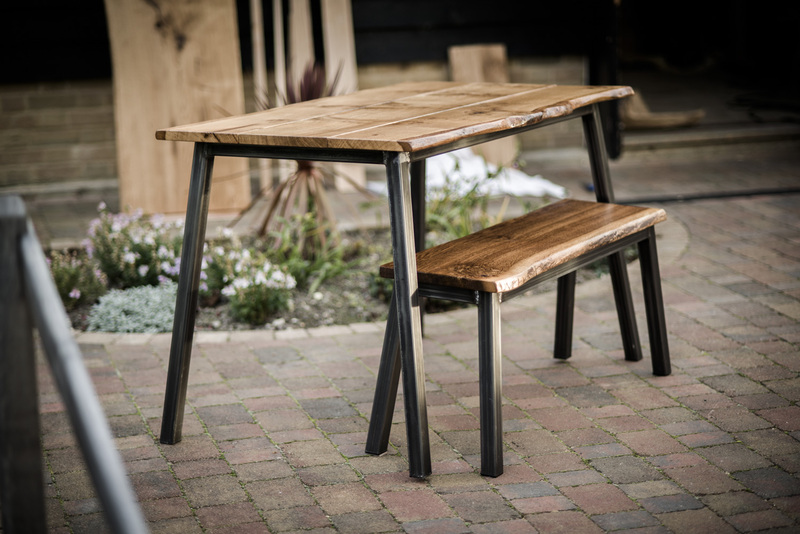 A simple metal frame design with slender legs was chosen to focus the attention towards the English Oak top. The frame is lightly sanded, exposing the shiny metal whilst retaining the carbon despots which when lacquered, turn almost black creating a ‘vintage look’. An additional frame design using 40mm box section steel with the legs set at a 7 degree angle is also available. The top is made from three lengths of contrasting oak. 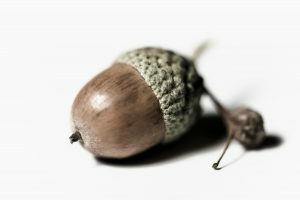 Usually a couple of lighter shades and one dark shade creates a good balance and visual interest. 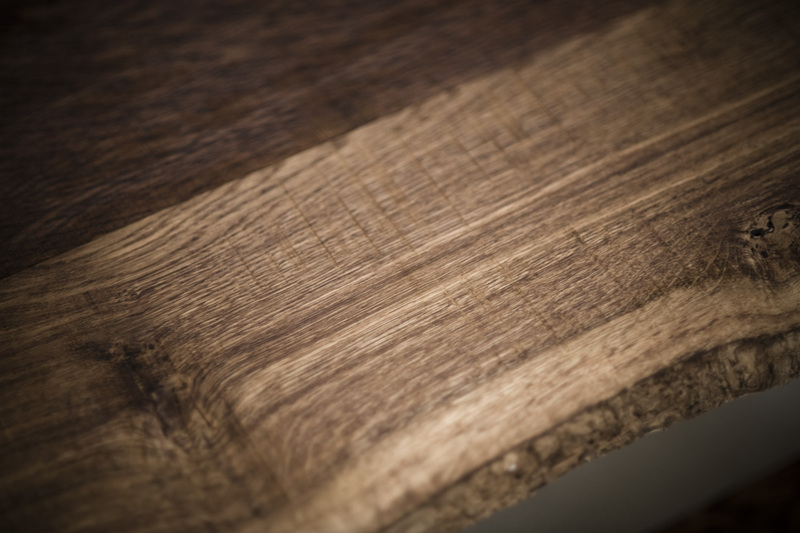 The wood is not over finished and still retains some of the saw marks from the milling process. The natural edge is retained as this creates strong visual interest with the sap wood is clearly visible. Available in several standard sizes, this piece will equally be at home as a dining/breakfast table, desk, or office boardroom table. 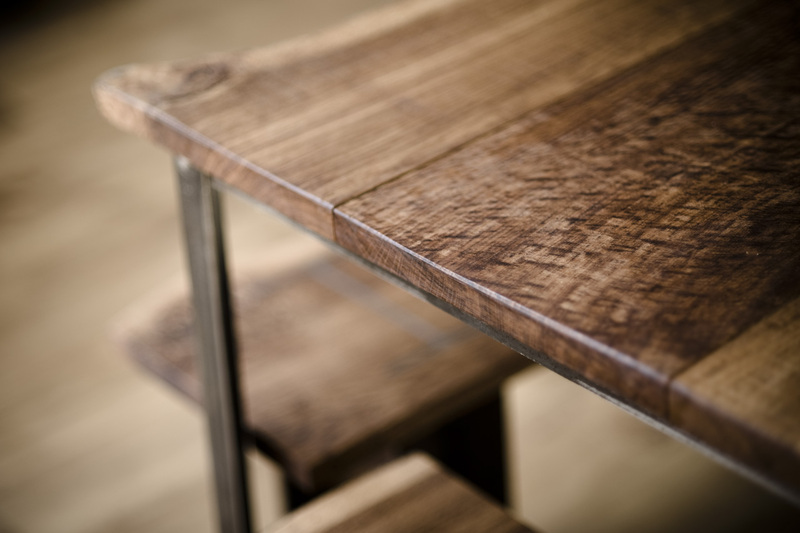 If you have a particular space you would like a custom made table made to fit, please get in touch.